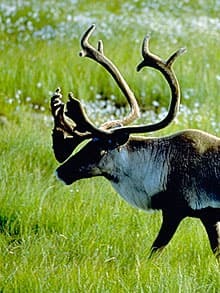 What’s more Canadian than caribou thundering across the vast landscape of the North? 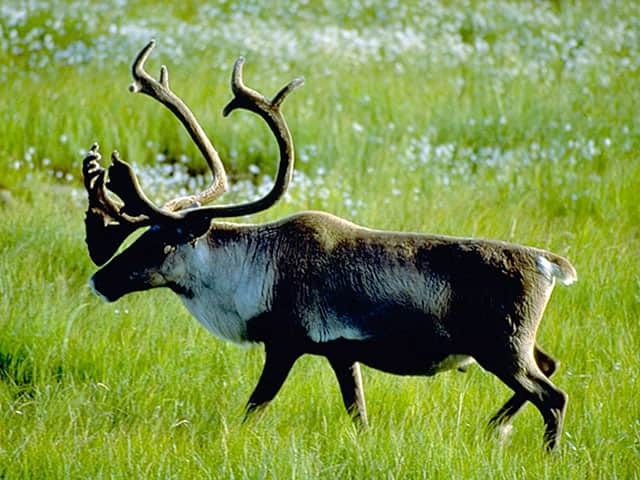 Arguably Canada’s best known caribou herd, the porcupine caribous’ total home range is approximately 260,000 km2, between Kaktovik, Alaska to Aklavik, NWT to Dawson City, Yukon. The Arctic National Wildlife Refuge is within the main range of the Porcupine Herd, which numbers approximately 152,000 animals. This is probably the largest mass migrating herd of large mammals left in the new world. Hardly anyone gets to see this except occasionally on TV. When I first saw it on TV I was astounded. What a spectacle! It is like watching wind blown ripples on the sea. Always there but always changing. I want to go there and see it some day. And soon, before it is gone. It's a living, moving example of wildlife in Canada. And the herd needs our help. Actually we could pick any of the huge caribou herds in Canada but this is one has the added Canadian-ness of cross border travel into the US. The majesty of a 130,000-plus herd of these fantastic animals traversing immense distances speaks to Canada is a very natural way. It is one of our last remaining awe-inspiring wildlife wonders and should be celebrated while we still can.